The most frequent question we are asked is in regards to pricing for carpet cleaning, tile cleaning, curtain cleaning or upholstery cleaning services. Code Blue Carpet Cleaning prides itself on straight forward honest pricing without hidden costs or gimmicks. We price our carpet cleaning services based on the square foot; however we only charge for the actual area we clean and not by the size of the room. Most homes or offices have furniture present. Many times furniture is in place and homeowners simply cannot move the items due to their size or would prefer not to move items such as beds, dressers, entertainment centers, etc. Frequently we are asked to clean around these items. We measure each area we will be cleaning and subtract the size of the furniture. You truly pay for only what we clean. Many companies will charge by the room or “area”. Be cautious of this pricing technique. Many companies charge hallways, bathrooms, and walk in closets as a room or area. They will also charge a large room as two or three rooms drastically increasing the cost of the service they provide! Code Blue does NOT charge extra for pre-spray, spot removal, or deodorizing. These services should be included in every carpet cleaning without additional charges. We pre-spray ALL areas we clean, not just the traffic areas. We do NOT have a trip charge or an environmental dump fee. We do NOT charge extra for lighter color carpet nor do we charge to clean closets unless they are walk in closets. 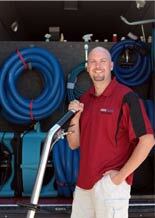 Low costs carpet cleaners frequently charge extra for services that should be included. One of the biggest pricing gimmicks in the carpet cleaning industry is charging for different levels of clean. 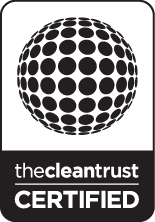 Some companies advertise various levels of cleaning like “Surface Cleaning”, “Penetrating Cleaning”, or “Deep Cleaning”. This is an advertising gimmick. They bait you in with a cheap price and when they arrive they inform you the carpet in your home or office requires a “Deep Clean” which is an additional cost. You want all of your carpet cleaned thoroughly. You should not have to pay extra to have it done right. Do NOT be fooled by low price coupon cleaners! You will pay extra for additional services that should be included. Many of the low price cleaners are not certified, operate inferior equipment, and lack the necessary training needed to clean your carpet, upholstery or tile correctly. At Code Blue Carpet Cleaning we are an IICRC Certified firm and operate top of the line equipment. We are true steam cleaners! Contact Code Blue Carpet Cleaning today to get a carpet cleaning quote for your home or business.